CLICK HERE TO FIND OUT MORE ABOUT THIS BLOG! 30 Days of Autism is a project designed to promote social understanding and to offer a glimpse into the perspectives of those whose lives are touched by Asperger's Syndrome. I write about autism as a parent of an autistic child and as an autistic adult. My expertise is Asperger's syndrome, which I experience as a daughter, mother, and diagnosed person. I hope my observations draw you closer to your autistic loved ones! I am a 29 year old father of 3, photographer, and EMT. My wife and I do our best to balance 48 hour shifts at the ambulance station with the growing business at our local photography studio; to balance 2 sons with a third oldest son who has Asperger's; to balance all the things we want and want for our family with what real life has handed us. It gets dicey sometimes but it's always an adventure! Blog - Anybody Want A Peanut? Jennifer writes about parenting a young boy with an autism spectrum disorder, as well as his typically developing younger sister. Her writing is about struggling to make the best educational decisions possible for both kids, and about the process of understanding and accepting her son's diagnosis. Sharing experience and information about parenting our children with AS. Our Tulsa-based group meets the first Thursday each month. We network and brainstorm with each other to help our kids as they develop and grow into adulthood. by: Dr. Meher Pocha et al. Practical strategies and easy to follow advice. This DVD was developed to help young people with Asperger Syndrome feel more confident by giving them a tool kit to help them deal with tricky social situations. Ten secrets to getting close to your child with AS and helping him reach his full potential. 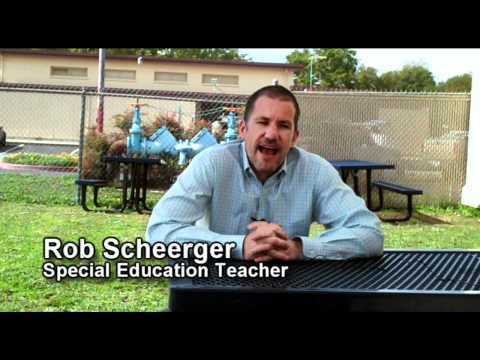 Designed for teachers and parents, this video provides proven techniques and tips to help make mainstreaming a child with Asperger Syndrome a positive learning experience for him or her -- AND for teachers and classmates. Whether a classroom has one teacher, or the support of special education teachers and aides, these approaches can help make the difference in a child's education. This DVD offers the most comprehensive presentation yet of the characteristics and reasons why female Aspies fall under the radar in their diagnosis. Whether you're a curious parent or a seasoned psychologist, this DVD is a perfect introduction to Asperger's Syndrome. A documentary I made about Aspergers syndrome. Aspergers syndrome and autism awareness community. I am diagnosed with Aspergers Syndrome and I am the proud father of two boys on the spectrum. I hope to spread awareness and take a positive, practical outlook.